901 S. Fort Hood St. 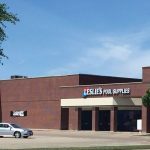 This great retail center is located adjacent to the main housing subdivision for Fort Hood families. Fort Hood is the largest active military base with at least 40,000 soldiers. Wendland Plaza has great visibility off of Highway 190 (with 92,572 VPD). Large pylon signs are also available.